Teleconference information will be emailed. 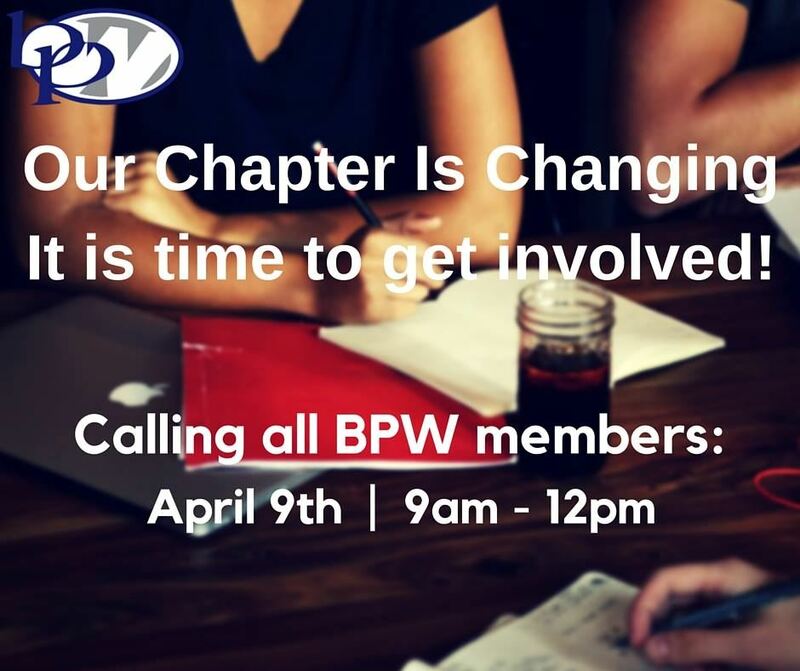 The Nominating Committee (Linda Karolak, Marcy Stahl & Mikki Kline) is hosting an exploratory meeting for all of current BPW members, and anyone interested in joining BPW. This is your time to take an active role in our chapter for the 2016/17 year. We are looking to fill Board, Chair or committee positions.